U.S. Army Space and Missile Defense Command leader Lt. Gen. James Dickinson addressed the Senate Armed Services subpanel on missile defense policies and upcoming weapon programs on Wednseday. Dickinson told the panel that the military is preparing to test five hypersonic weapons systems in the Marshall Islands in the central Pacific Ocean. 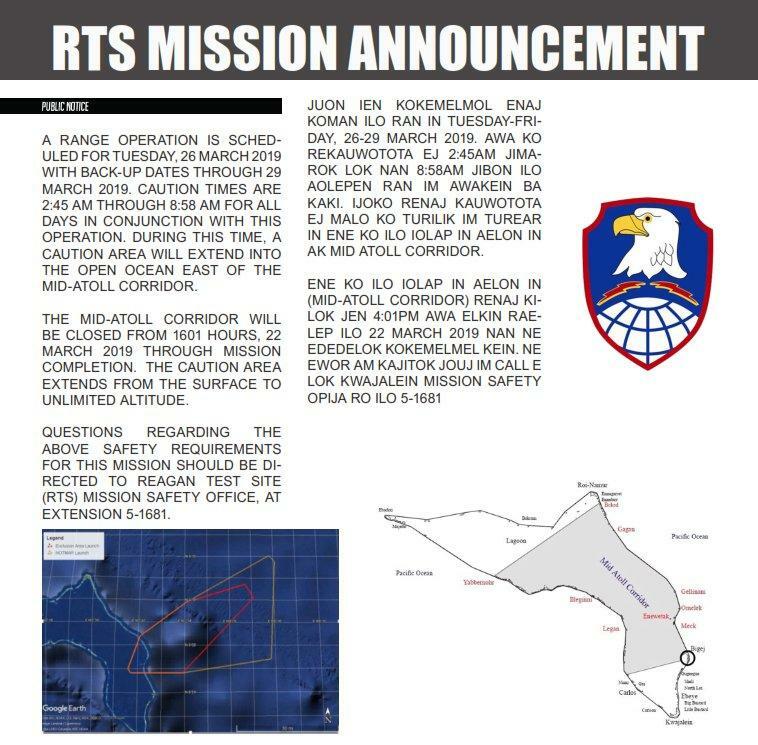 "There are currently five active hypersonic test programs in various stages of planning at RTS [the Ronald Reagan Ballistic Missile Defence Test Site]," Dickinson told subcommittee. 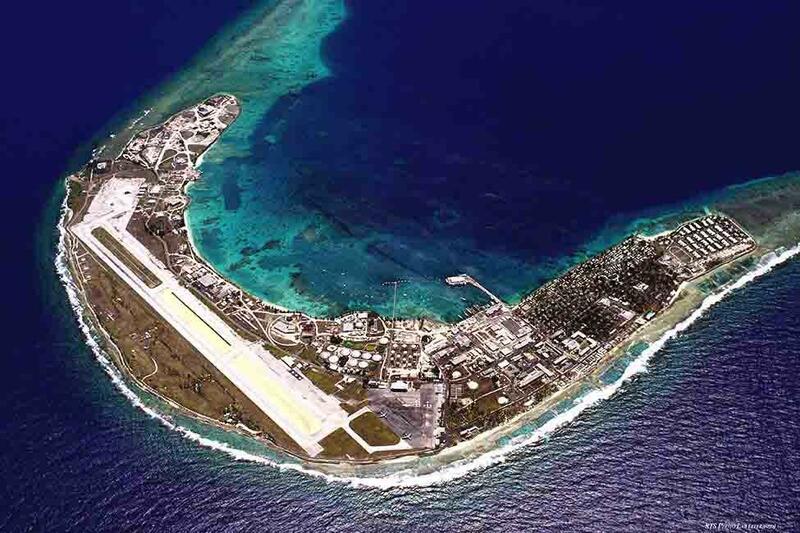 RTS, formerly Kwajalein Missile Range, is an Army missile test site in the Marshall Islands. 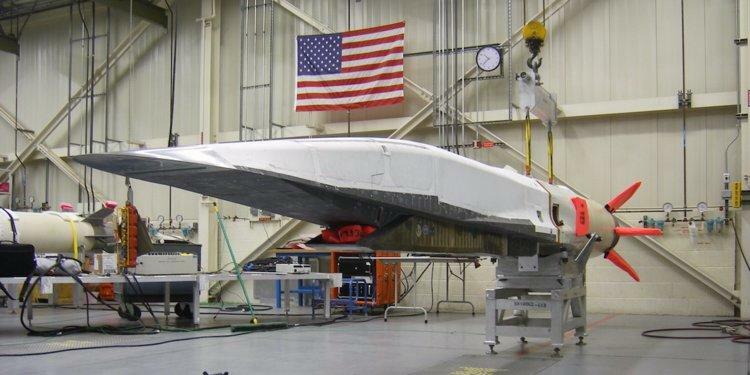 "Because of the geographic remoteness and available complex sensor suite, RTS has seen a significant upswing in hypersonic systems test planning," Dickinson said. He added that the missile range provides unparallel testing to both offensive and defensive missile testing requirements for programs such as Ground-Based Mid-course Defence and Air Force strategic ballistic missile systems. Last month, the Army launched a missile carrying an inert warhead fired from Kwajalein towards California. The test included several interceptor missiles that slammed into the warhead high over the Pacific. The Pentagon's latest missile defense review calls for more interceptor missiles and an investigation into space-based systems that might enhance missile defense coverage. Earlier this year, President Donald Trump requested a new missile defense system that could "detect and destroy any missile launched against the United States, anywhere, any time, any place." Russian and Chinese hypersonic missile threats have forced the Pentagon to adopt an upgraded Air and Missile Defense framework last month that will prepare the homeland with missile defense shields in the event of war.